Grief is a word that pastors know all too well. Pastors have a unique calling to help others cope during times of loss, conflict, and tragedy. Over my 25 years as a pastor, I’ve been called many times to grieve with individuals and families who have lost a loved one, been through a divorce, or experienced a tragedy. Although I became familiar with loss, heartache, and grief while serving others as a pastor, nothing could have prepared me for the challenges I faced due to personal loss. Over the past six years, I have faced my own grief – the loss of a sister, a father, and recently, the loss of a brother. Two of these losses were especially difficult to bear because of their relative youth. It dawned on me that while pastors are equipped with the tools to serve others in seasons of loss, they are often ill-prepared to emotionally handle their own personal grief. When my father passed away, my family chose to have the funeral at the church where I had been Senior Pastor for more than seven years. I had spent hours, days, and sometimes weeks grieving with many of the families in attendance. Sharing their heartache, pain, and vulnerability after a loss created a unique bond between us. Seeing these families made me realize I had to put myself in their shoes. It was okay for me to shift roles, to be vulnerable by grieving as a person, beyond my role as a pastor. Freely acknowledging my own humanity, my own frailties, and my own emotions of pain, sadness, and questioning – all natural responses to loss – allowed me to begin the healing process. I needed to take time to just be me – a son who lost his father. The healing process began when I overcame my own unrealistic expectations that I had to be something other than myself. Pastors are not superhuman and are definitely not Jesus Christ. He is the one who pastors us all during seasons of loss. My father was right; we are all replaceable. Here at Vanderbloemen, we stress that every pastor is an interim pastor. It's okay to step away for a time and allow someone else to fill your shoes for a time so you can attend to personal matters. As pastors, we have to realize that when we experience a personal loss, it’s okay to step away to take time to grieve. It will be healthy not only for you but also for your family and friends. I’ve noticed that many pastors struggle to engage in real community. It can be difficult to be vulnerable among your church community; however, we have to surround ourselves with people who love us as a person, not just as a pastor. Many times, pastors isolate themselves from the community so that when tragedy happens, they struggle to find support from others. Isolation is unhealthy for anyone experiencing personal grief. Find people you can trust and who love you for who you are. Most people close to you don’t need you to be their pastor, they just want you to be their friend. No strings attached. Surround yourself with true friends and when it comes time to grieve, they will be there for you. They will be there to pastor the pastor. One of my favorite verses in the Bible is also the shortest: “Jesus wept” (John 11:35). When Jesus experienced a personal loss due to the death of his friend, he cried. Yes, Jesus himself didn’t just cry, he wept. It’s a powerful lesson to those who minister to people on a daily basis. Jesus’ life was centered on ministering to others, but when he received news of the death of a friend, he cried. Jesus Christ, pastor of all pastors, allowed himself to be vulnerable to those close to him. Tears are a part of any healing process. Take comfort in the reality that, with Jesus as our model, we are all allowed to weep because of personal loss. 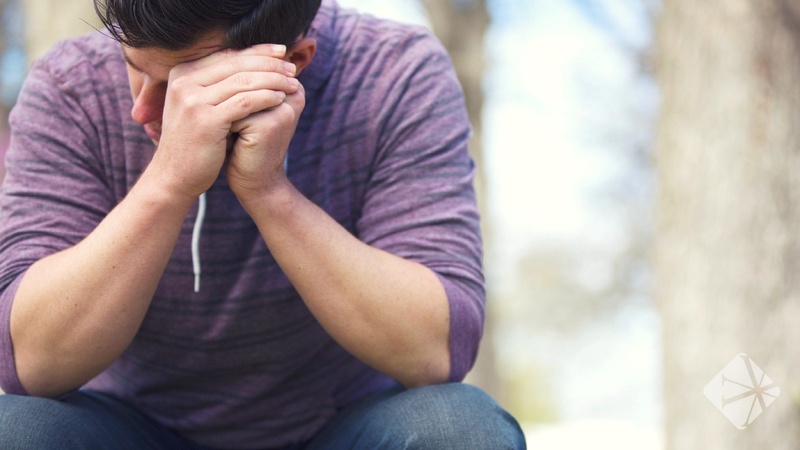 Counseling can be sometimes associated with weakness or personal instability. The contrary is true; it takes great strength and courage to admit a struggle and to actively seek help. We all need help at some point, and more than ever during times of grief. As pastors, significant time is devoted to counseling others, but when it comes time for us to get counseling, we avoid it. We might wonder what those in our church will think about us if we seek out counseling. The truth is, most people will respect you even more for taking the step to get additional help and support because they relate to your feelings. Find a counselor that you trust and one that is experienced with loss. Although it can be a difficult step to take, counseling can be a useful outlet to help you as you grieve. Most of us will experience loss and grief at some point. It’s important to navigate these times by allowing yourself to be human and vulnerable, and to find outlets of support. How have you dealt with loss? What are some lessons you’ve learned that have helped you navigate times of grief?